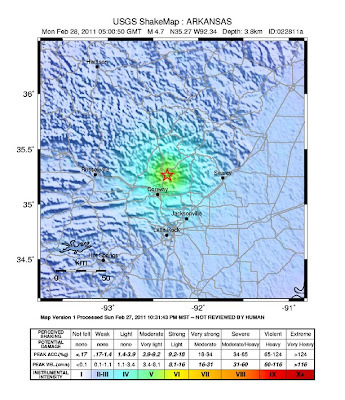 We have confirmed that shaking from the Earthquake that occurred in Greenbrier, Arkansas tonight could be felt in Helena-West Helena. 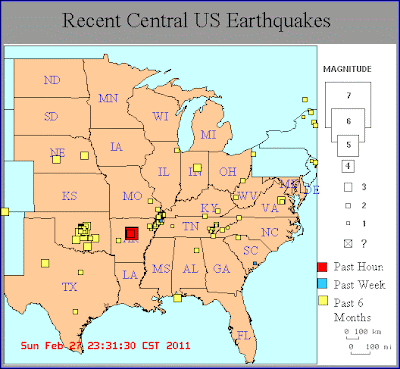 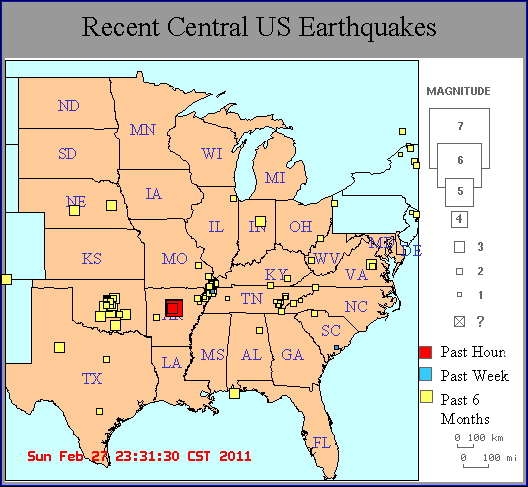 For more information, visit http://earthquake.usgs.gov. 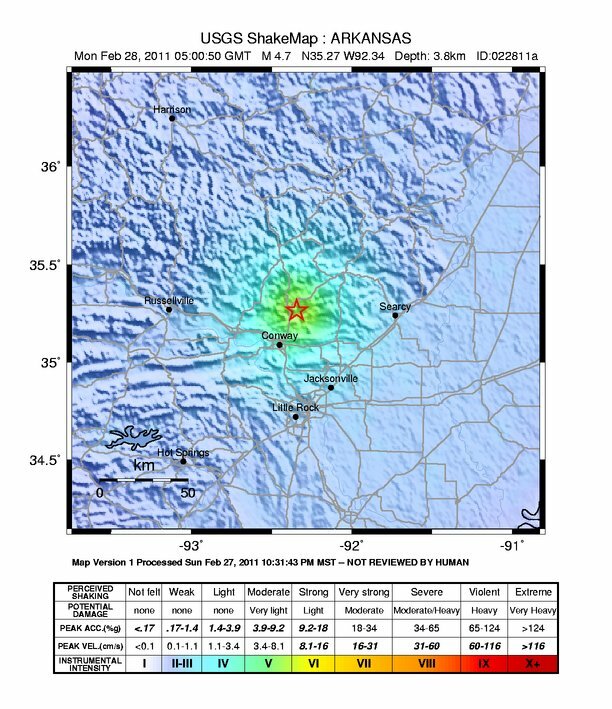 Here's the ShakeMap which seems to indicate that most of the state suffered weak shaking and no damage.